Who could have thought an ordinary SDA church member would make the bossy Jean Kapata seat up. What is it about what she said that has incensed PF so much that the SDA church has had to apologise to Government to calm the situation. A church which has a reputation of staying out of politics, even when their own member was jailed for 127 days for doing nothing at all. The only way to objectively delve in this matter is to look at it in a level headed manner. We should start by expressing the rights of everyone involved. The right of the woman to express herself, the right of Max to express himself, the right of the church to protect its identity and the rights of the press. The woman, without losing anything in translation, said that she wants an intelligent president and not a drunkard whilst flashing the UPND symbol. It does not matter who she was referring to, we need to appreciate that she is free to say whatever she wants to say. We do have a history of such at an even larger scale. Can we recall how people called Late Mwanawasa a cabbage (brain dead) and can PF recall how in the 2015 campaigns they permitted a campaigner to call HH a Satanist who drinks blood? This is the freedom of speech we have all embraced we should be able to get used to being offended. Is Max reaction on the same weighting as the woman action? 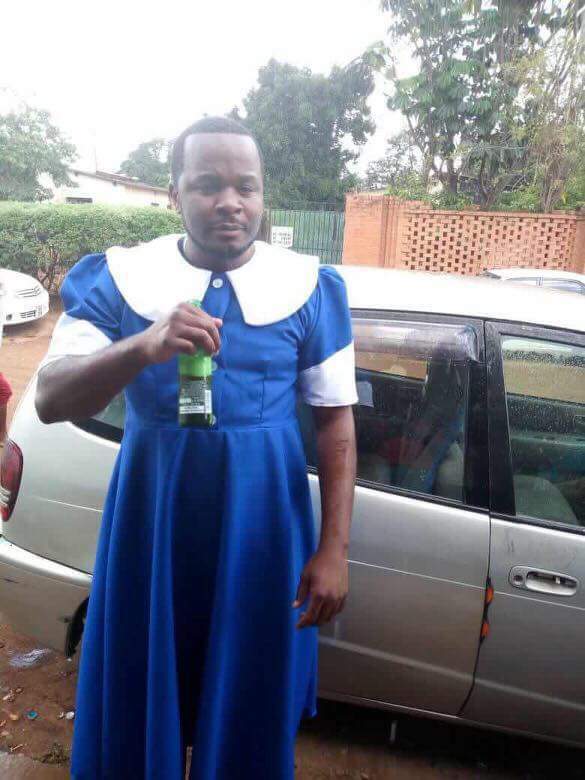 What views did Max express apart from merely demeaning the Dorcas uniform of the SDA. Both might have been free to express themselves but the difference here is that the woman was brave and did so in her own shoes with her own identity. She was not a coward like Max who took the insensitive angle and fitted out a religious uniform he is not permitted to wear. Max’s intention was to demean the uniform and not to express his opinions. Whatever rules the woman broke is none of our business because Dorcas rules are SDA matters. Another reaction that followed was from Jean Kapata, were she threatened to close down Prime TV, and this for me is the real issue that should be discussed. Jean Kapata as a woman leader showed the nation that she is nothing but a bully, who thinks she is above the law and not civil enough to follow procedures when it comes to complaints against the media. The Dorcas woman and Max have committed lesser crimes compared to this Jean Kapata, who demonstrated she is a loud mouth bully who supports abrupt closure of businesses, disrespects press freedom and can hijack the role of enforcement at will. Her words were symbolic of the PF government, they are all arrogant. Lastly, the views the lady brought up exposed just how far behind we are with our freedoms. If you thought the Zambian press was free, the Dorcas woman opened another window for us to see that we are still far. In South Africa politicians live with chants of “Totsi! Totsi! Totsi! Totsi!” (Thief! Thief! Thief! Thief!) in their faces but you don’t hear them make threats towards citizens or the media. The PF continue to be a party which is still learning on the job. Part of the job of a President is to tolerate criticism no matter how offensive. Obama was called an Islamic terrorists, Mwanawasa was called a cabbage, Trump is insulted on a daily basis, but here Lungu was not even blatantly called a drunkard but for reason best known to themselves they implicated him and want to close down TV stations. Is it that the truth hurts or what?